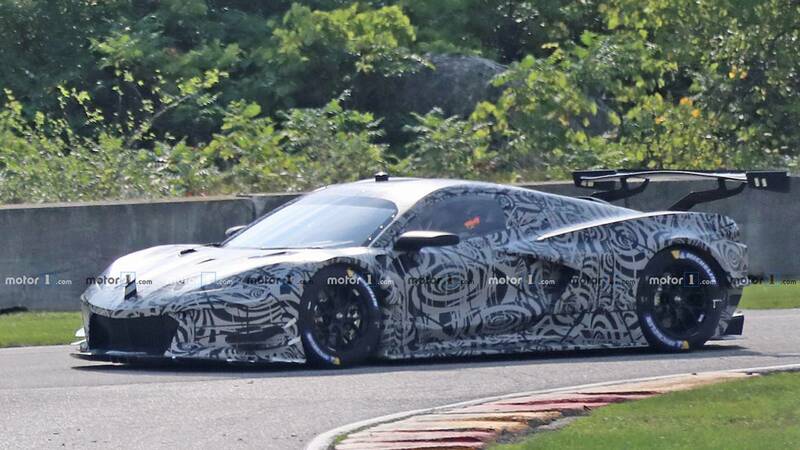 This is our very first look at the Chevrolet Corvette C8.R race car. It features massive intakes on the sides, a big wing, and a large rear diffuser. A later spy video revealed the sound of the turbocharged engine.